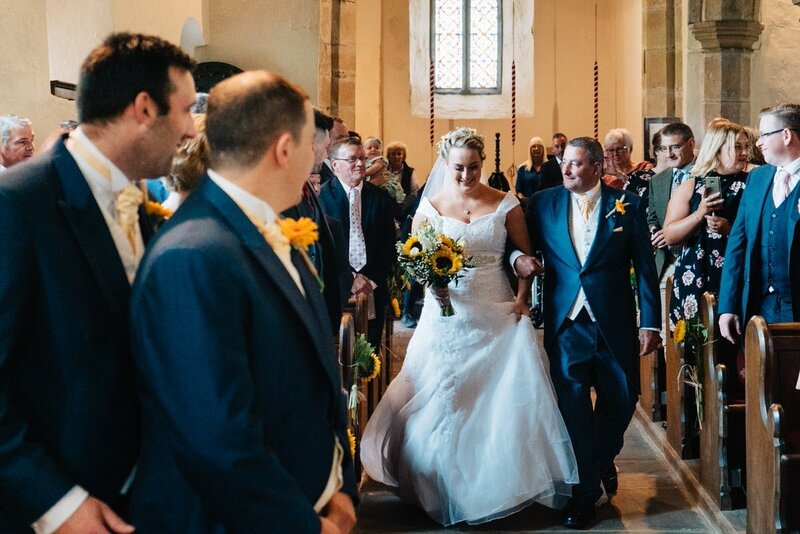 On Sunday a Scriven became an Austwick – Liz and Scott got married! You may remember their windy engagement shoot at their family farm in Elslack two months ago? 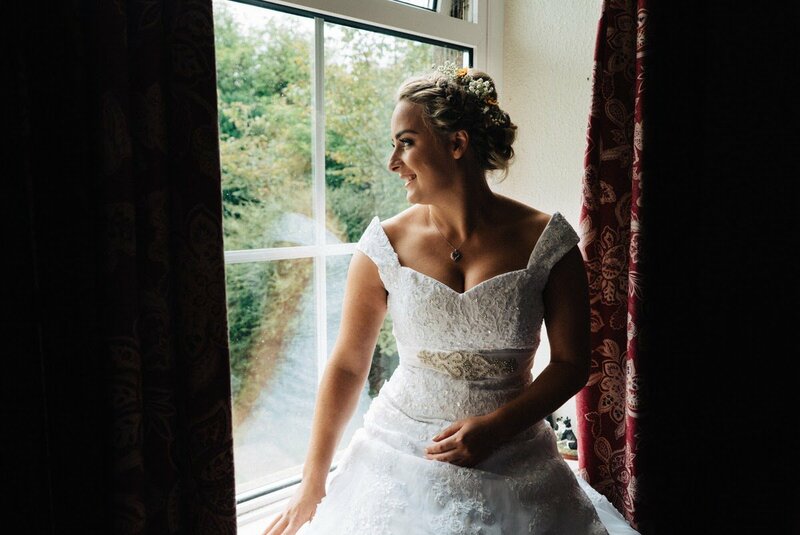 We have been so excited to capture their Skipton wedding. Their day serendipitously fell on our own first wedding anniversary. A perfect way to celebrate our anniversary, capturing someone else’s love story! The couple booked us for their home farm, rustic, relaxed wedding day so long ago now. We couldn’t have been more excited after hearing all about their wedding plans. Especially after we heard about the role their horse, Dolly was playing! On the day Mary started off at Liz’s family farm while Jon met Scott and his Groomsmen at the reception venue. 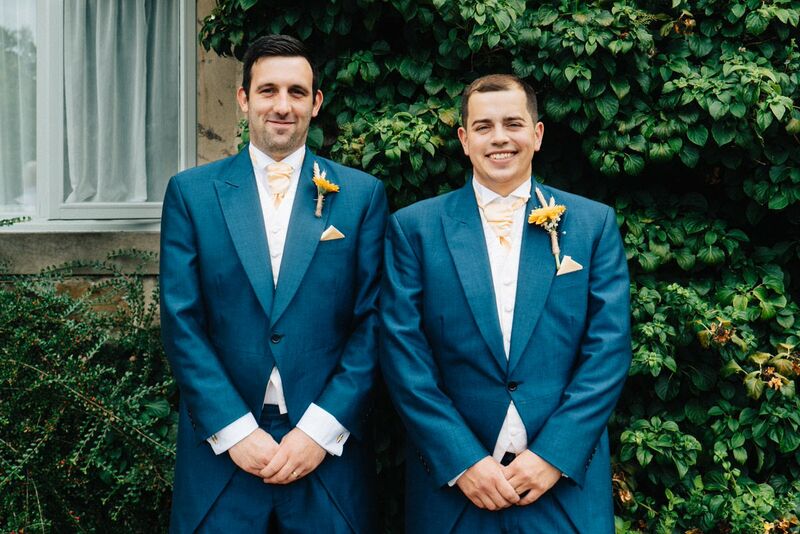 We love that we can always capture bridal and groom prep, as Stories Of I Do is a team of two, with no rushing about. Liz and her bridesmaid were very organised, so the morning was very relaxed. The bride looked stunning with her platted up-do, in her fitted dress with flowing train. The ceremony layout was beautiful, including rustic floral decorations throughout. As ceremony time arrived, the sky overhead was atmospheric with threatening clouds. Luckily, nothing could put a damper on this day. The bride and her girls arrived, and Liz and Scott soon united at the end of the aisle with happy tears. 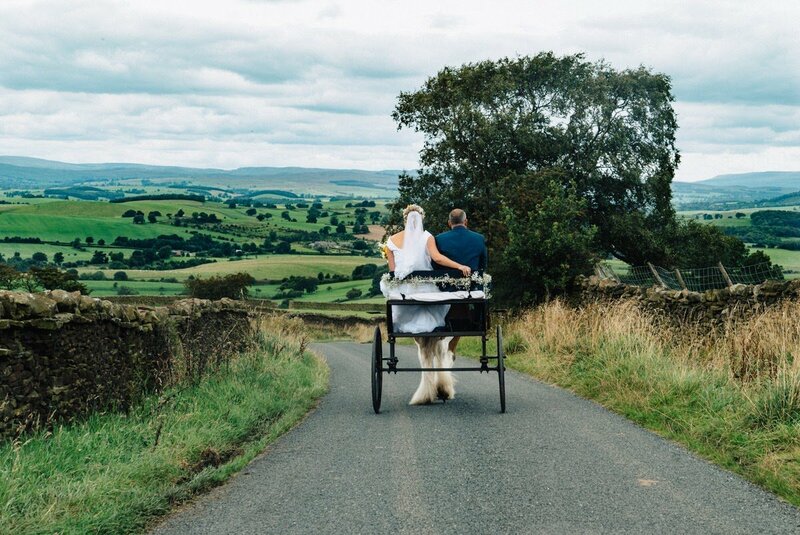 After the confetti, the couple were off via horse and cart to The Tempest Arms, Elslack, Skipton. The whole space decorated in a boho, rustic, hessian, sunflower theme. 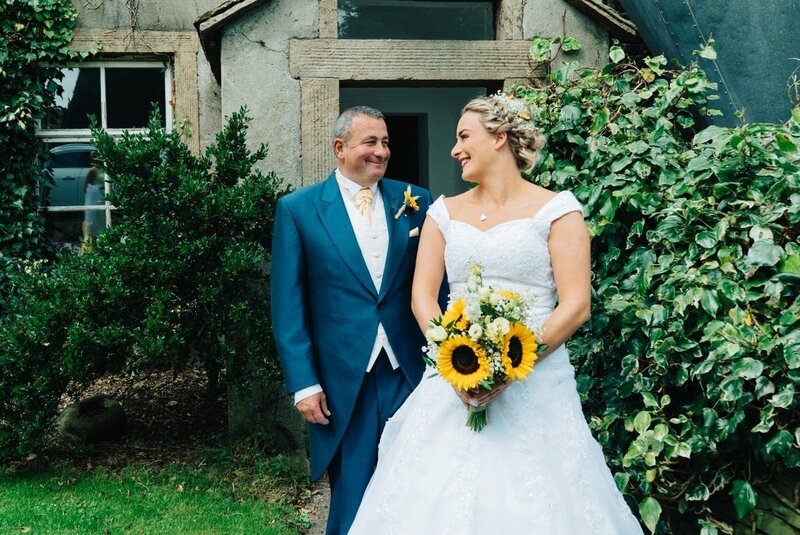 Liz and Scott had such a relaxed and happy Yorkshire wedding. They spent the whole day smiling. Here is just a little preview of their day, their sneak peek! We cannot wait to share more from their country chic day. Stories Of I Do wish all the best for the new Mr & Mrs! 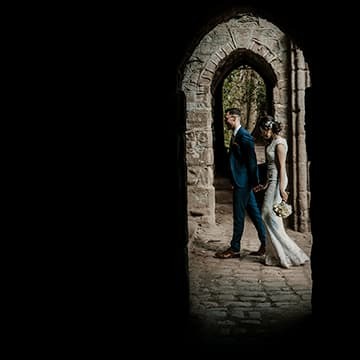 L + L | Appletreewick Cruck Barn Wedding STORIES OF "I DO" Dimple Well Lodge Wedding | Rachel & Tony STORIES OF "I DO" Thorner Leeds Wedding Photographer | David + Louise – Sneak Peek STORIES OF "I DO"